Leonid Afremov's masterful use of color and texture make his paintings unique collectibles that are sure to brighten any wall. 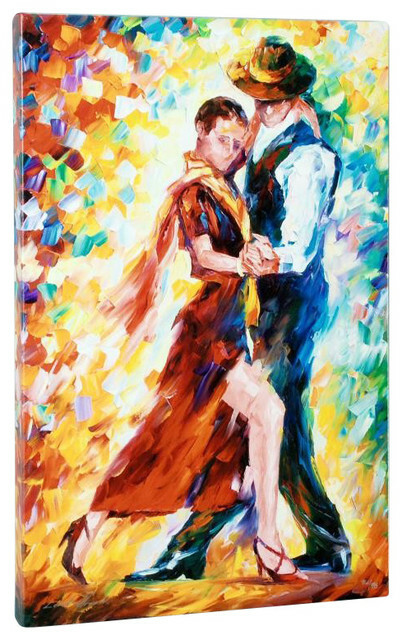 "Romantic Tango" is a limited edition giclee on stretched canvas, numbered in verso and bears Afremov's authorized signature. This piece comes gallery wrapped and ready to hang. Includes Certificate of Authenticity! Measures approx. 16.5" x 26.5" (image).